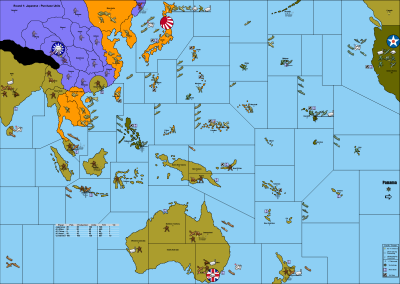 Updated single-player variant of the WW2 Pacific conflict using a modded map created by Triple_Elk, iron__cross, and ComradeKev. This map features AI interactivity, diverging timelines, a unique technology system, nontraditional unit statistics, resources, a 'quick-to-learn hard-to-master' play style, and built-in difficulty selection. Designed for challenging human play as Japan versus the AI.